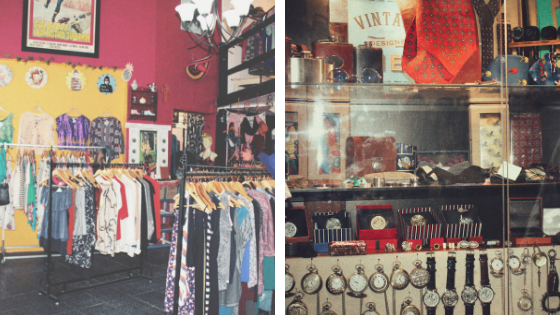 When in Cape Town, you shall seek and you shall find streets lined with vintage thrift stores. It is no wonder that the Mother City is known to be one of the world's most fashionable cities, because lets face it, if there is one thing Cape Townians do well after the quintessential South- African braai it has to be our fashion sense, in true hipster style. If you're anything like me (a thrifter of note) and someone who is always on a mission to find an exclusive retro jacket on these streets or you simply think thrifting is an absolute vibe and would like to try it out on your next trip to Cape Town, below are the 10 commandments of thrifting in Cape Town. Whether you're a novice or veteran regular, thrift shopping can become a pretty overwhelming experience. This is because indecisiveness is a real thing, especially when you're being lured by an array of vintage designer denims, party dresses and old school dancing shoes. Most vintage stores are made up of long aisles and heaps of clothing, from different styles and eras, this can be very overwhelming and time- consuming for the new recruit. I would highly recommend thrifting with a goal in mind. Be clear about what you're looking for, is it a pair of funky retro boots or a 1960's Little Black Dress, creating a list is highly recommended, which leads us to our second commandment. So, we've already established that thrifting can be a pretty time consuming task, especially if you have no idea what you're looking for. Allow me to introduce you to the master art of thrifting - Scanning. This refers to browsing through clothing racks, by moving your eyes up and down by searching for patterns, labels, sizes, textures and colors -this method works like a boss as it saves you time spent in the changing room. Cape Town has a huge variety of thrift stores from 60's retro street style to the 1920's era of Great Gatsby and Flapper Girls inspired fashion. It is important to know where to find what you're looking for, remember, not all thrift stores were created equally. Nevernew store in Cape Town is a vibey thrift store located in the hippies haven of Observatory. In this vintage store, you can anything from Yves Saint Laurent vintage ties, to three-piece double breasted suits, while jamming to 90's golden oldies. As a side note also find out how often your local thrift store restocks, so you can always return when they have some fresh merch in stock. Most vintage clothing buyers and collectors would probably agree with me, that the most disheartening experience in a thrift store is finding something that you really like, only to find out it does'nt fit. Gone are your dreams of looking like Grace Jones in the 1985 British spy film A View To A Kill. Don't fret, as any item of clothing can be nipped and tucked at a local tailor. We got you. This one is for all the splurgers, and probably one of the most important commandments. Mastering this one can save you hundreds of Rands on clothing and accesories that you will never really wear ( well atleast not in this lifetime), I can definitely attest to this, can I hear an Amen? If there is one thing I've learnt, thrift stores love loyalty. If you really dig the style and era that a particular thrift store specializes in, always go back, create a relationship with the brand, this might just score you a young discount on that red waist coat you've been eye- balling for some time now. Share your #vintagefinds or #oftd and tag the store if you're into that sort of thing. Don't be afraid to try something new, become a trend-setter, thrift shopping is about self-expression and nostalgia. Come on, you can do this! Thrifting is a vibe, and like any fun experience it induces happy hormones, so is it safe to say that vintage shopping is good for your health? Yes? Lastly, thrifting is a unique shopping experience, sometimes it takes a bit of patience to find something that you like, remember to take your time, breathe deeply, and bask in the nostalgia. 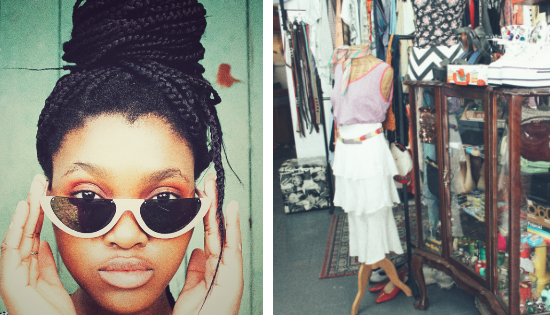 Thrifting makes up a large part of Cape Town's street style culture. The art is founded on individuality and self-expression. There is probably no better feeling in the world than finding an item of clothing that does all the right things in all the right places. Thrifting saves you money and is easy on the environment, talk about slaying on a shoe-string.